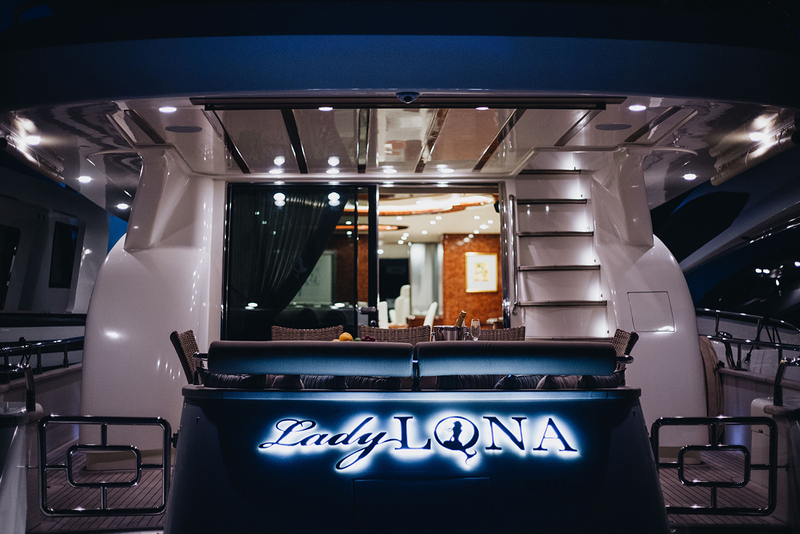 Measuring 26.00m (85' 4") , motor yacht LADY LONA (ex Nashira) is a great Mediterranean charter yacht built by the Italian shipyard Amer in 2003 and refitted in 2015. 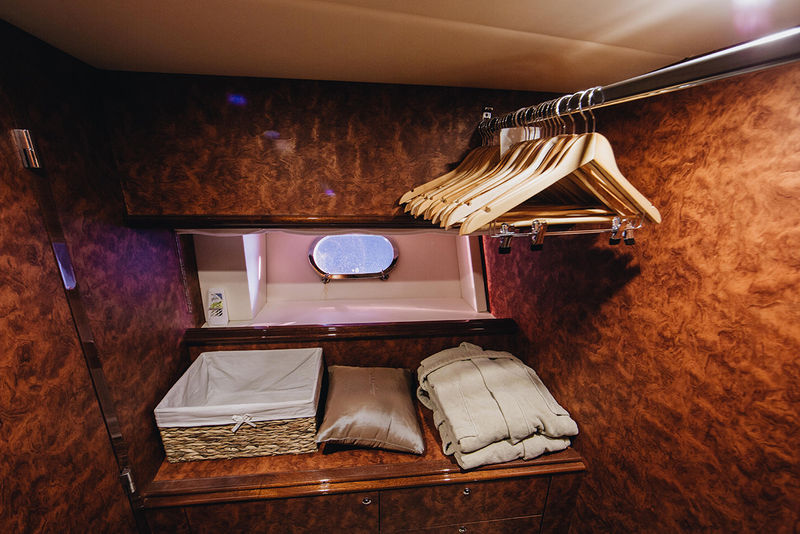 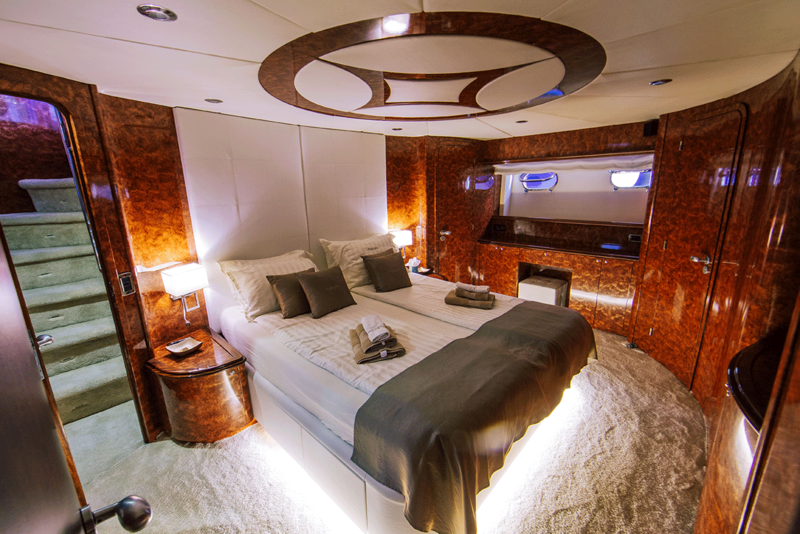 She is able to offer accommodation four deluxe cabins for up to 9 charter guests and is serviced by a crew of three. 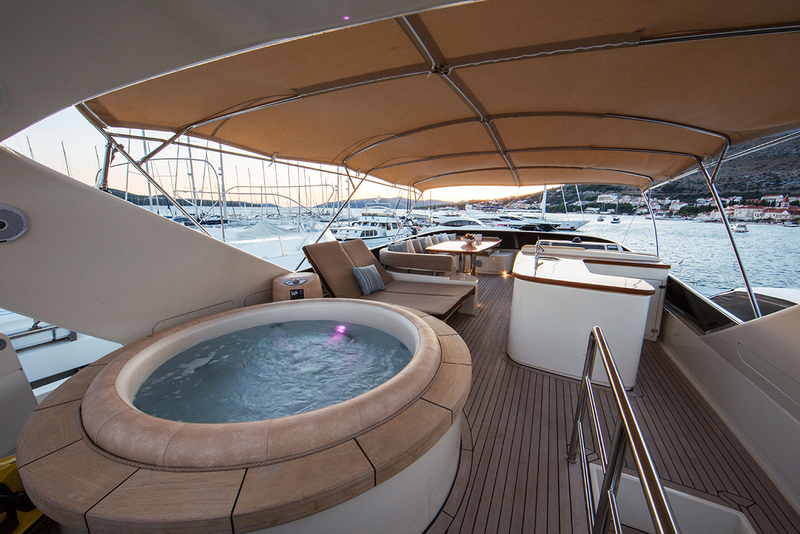 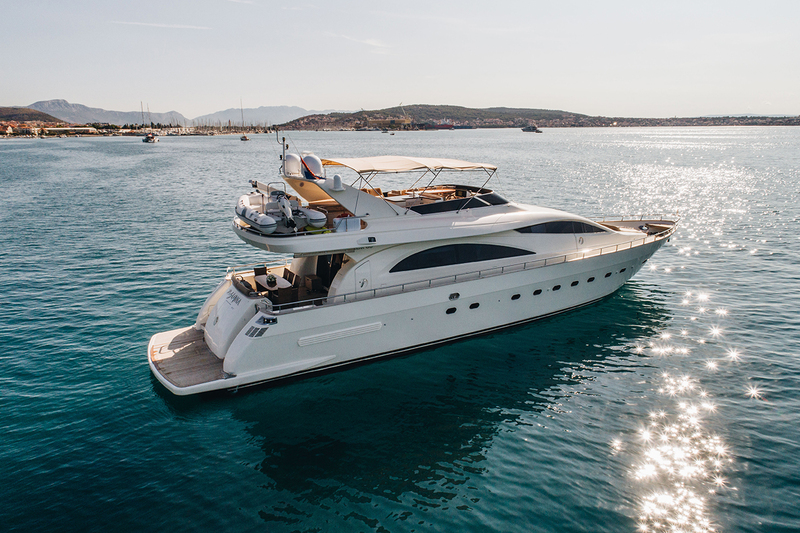 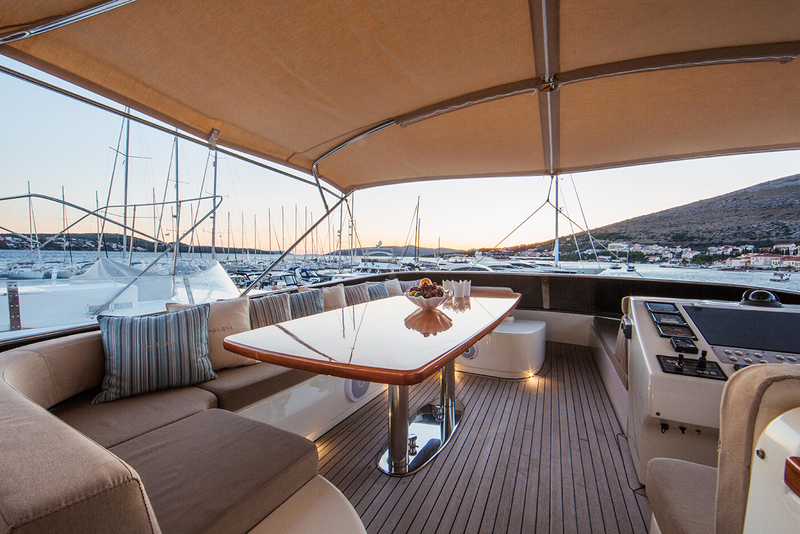 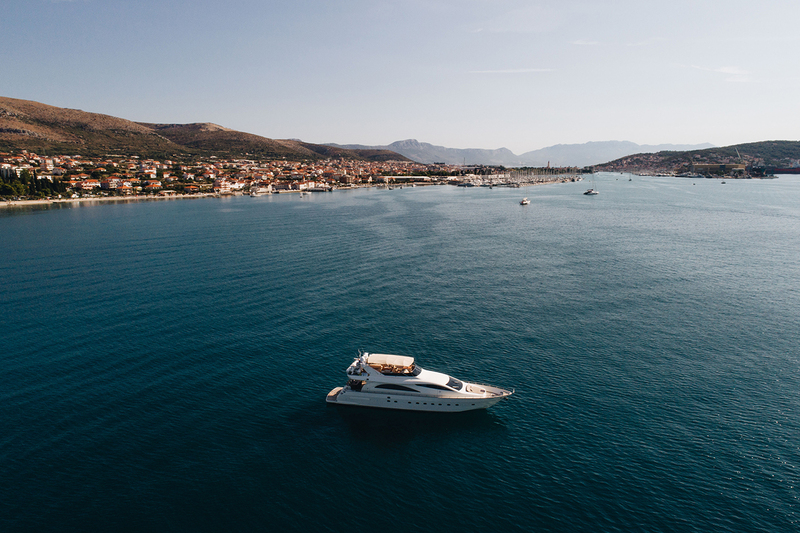 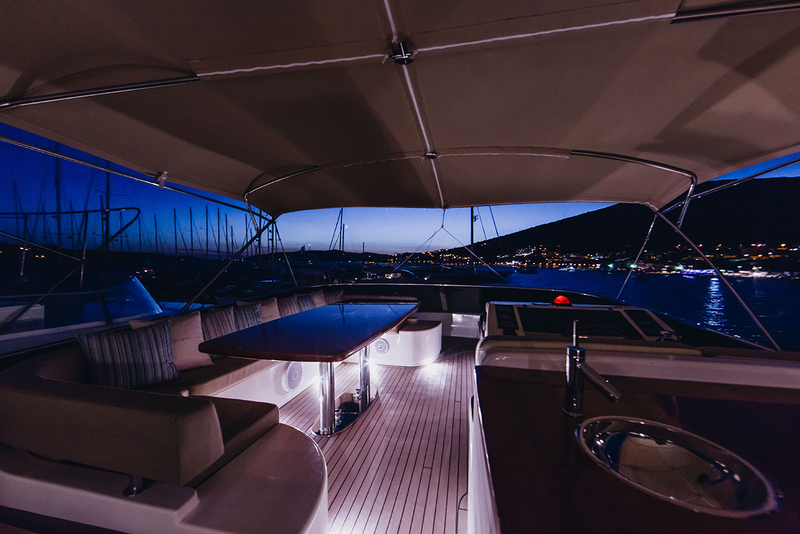 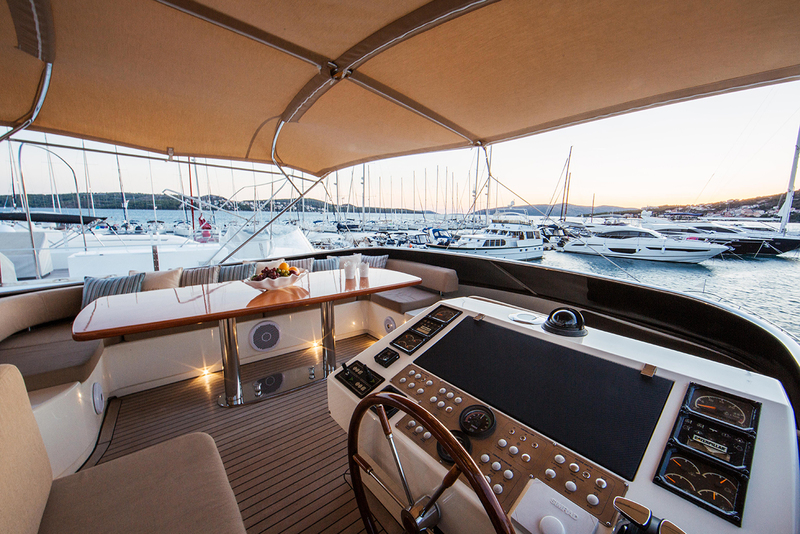 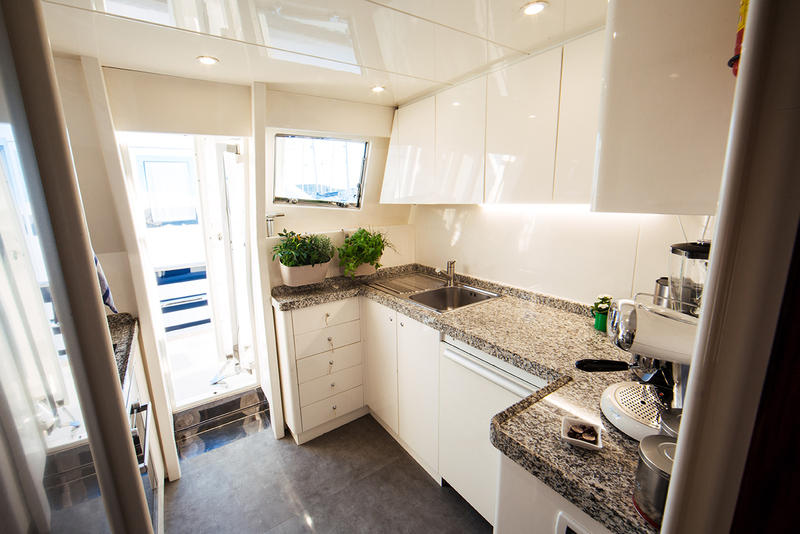 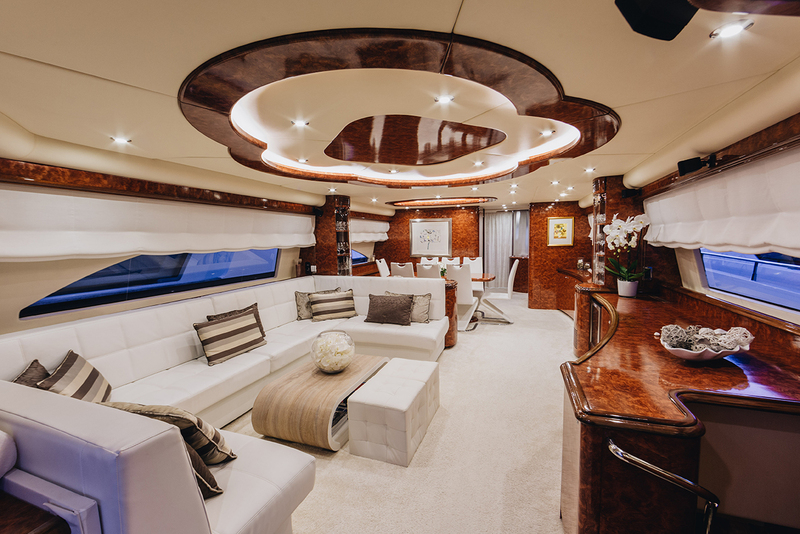 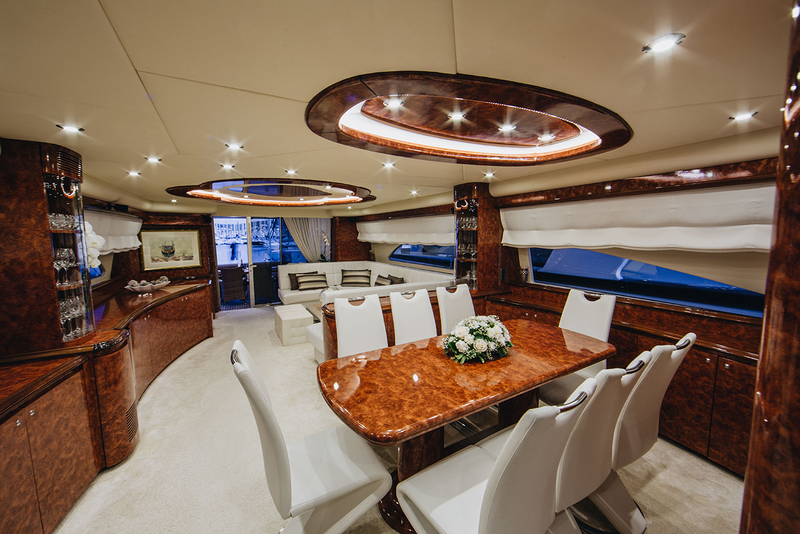 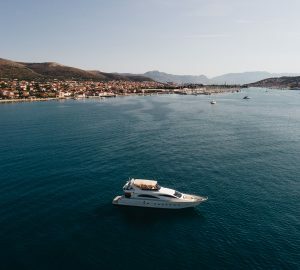 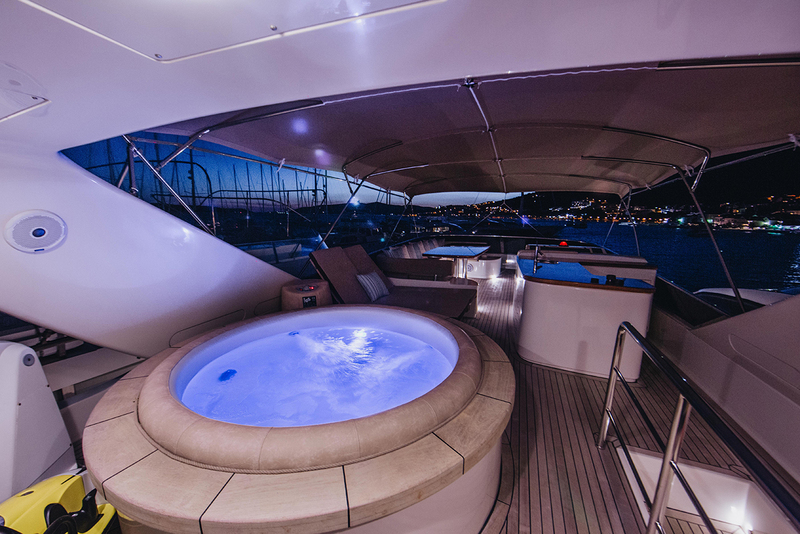 One of the most popular areas aboard this vessel is her flybridge complete with a Jacuzzi hot tub, a sunbathing area as well as a seating area. 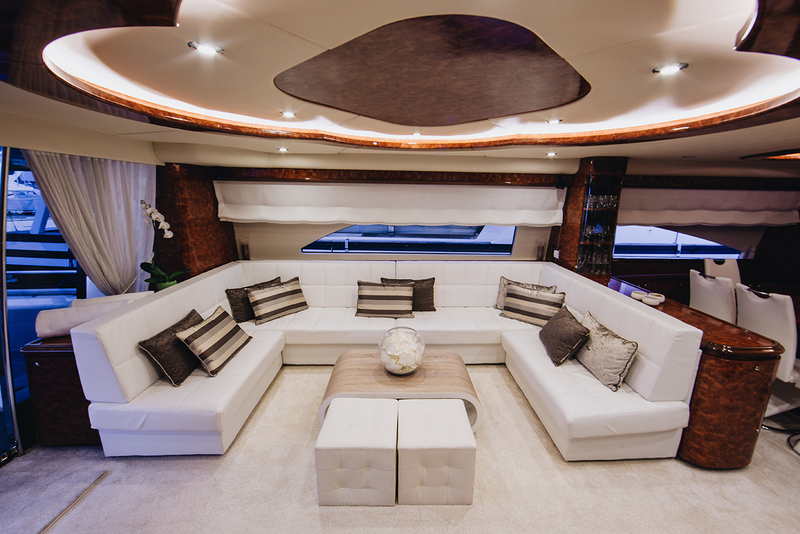 Her main saloon has a comfortable u-shaped sofa and a coffee table with a formal dining area adjacent, seating all guests comfortable. 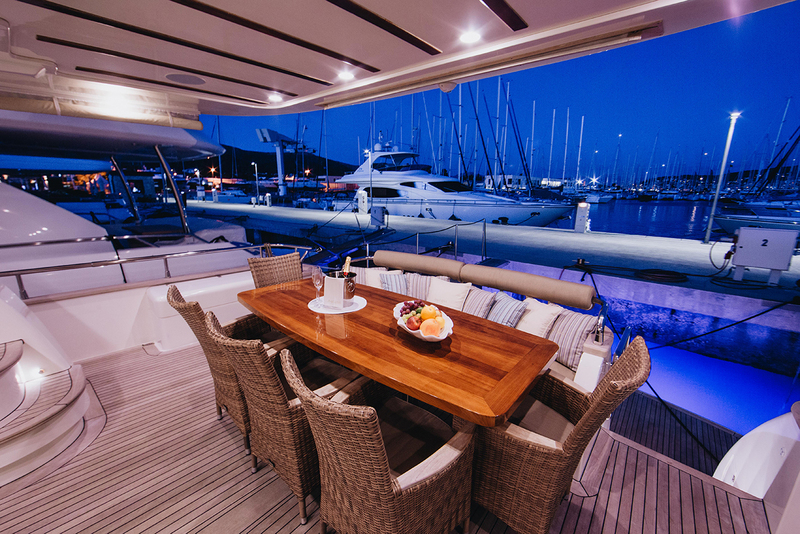 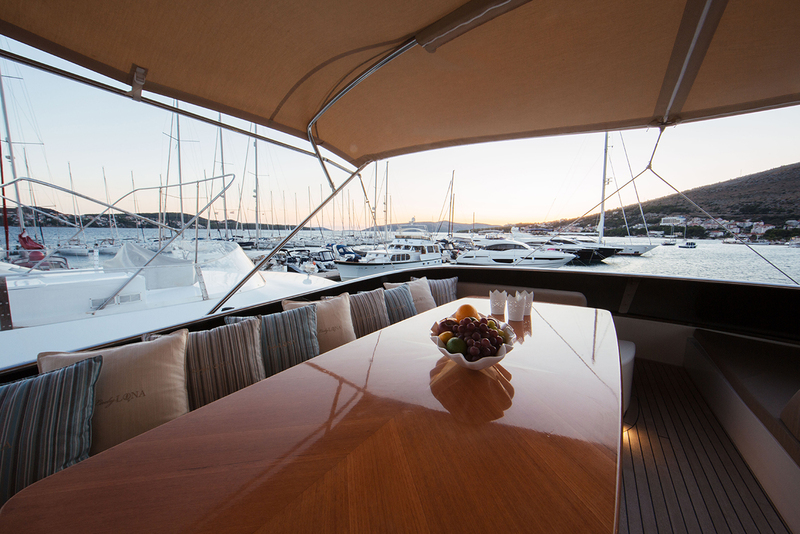 The aft deck offers a lovely alfresco dining possibility; great for warm summer nights or is a fabulous place to enjoy a lovely breakfast in the Mediterranean morning. 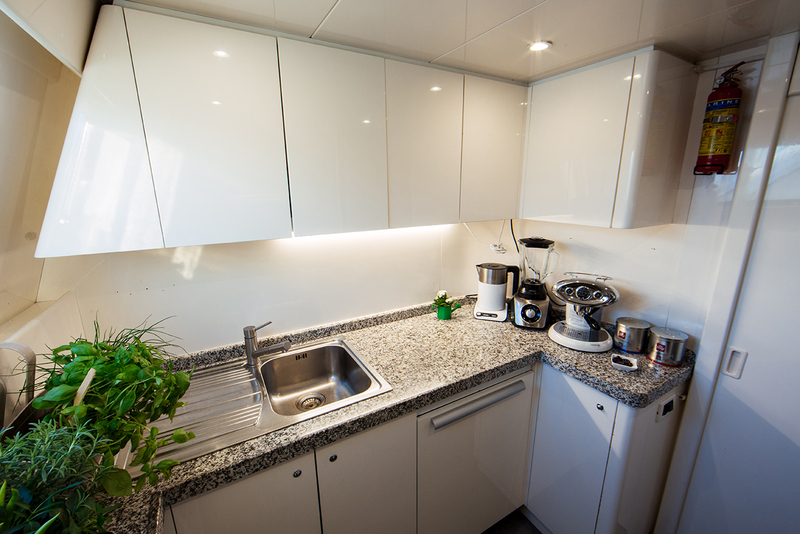 Accommodation is ample, modern and tasteful, creating an inviting ambience. 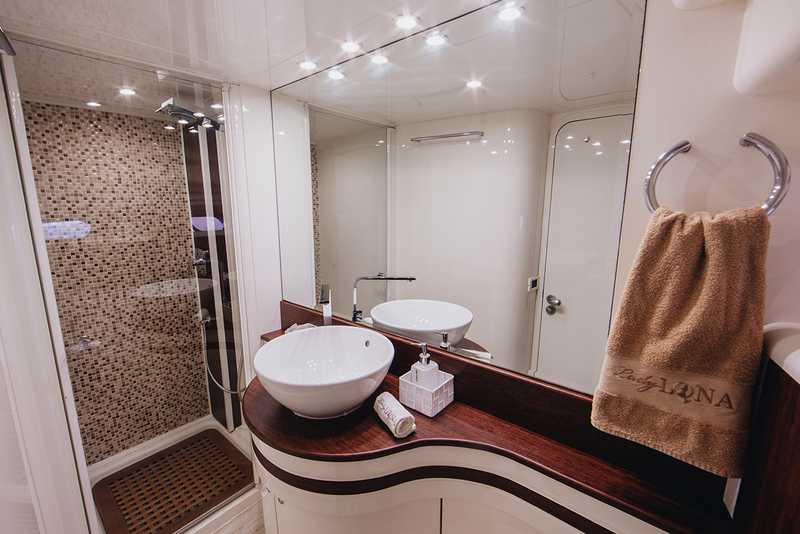 Each cabin has its own modern ensuite bathroom facility. 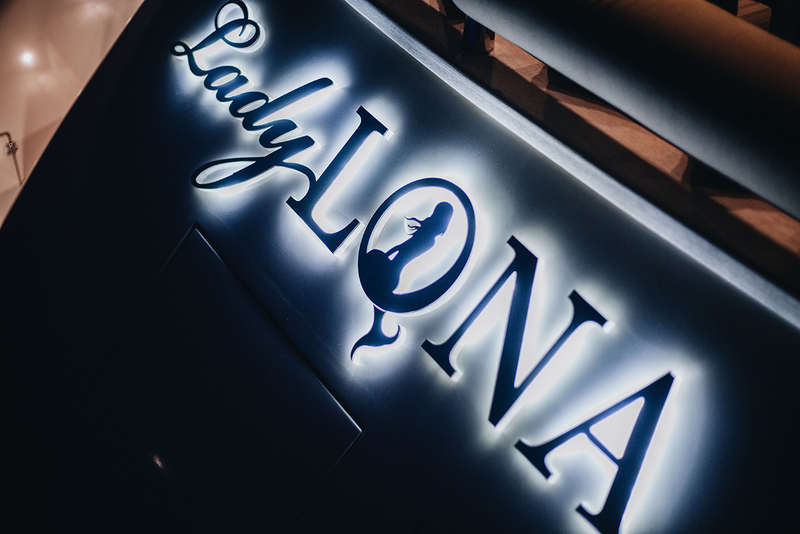 LADY LONA is powered by two Caterpillar 1750 HP engines reaching a maxim speed of 32 knots and a cruising speed of 22 knots. 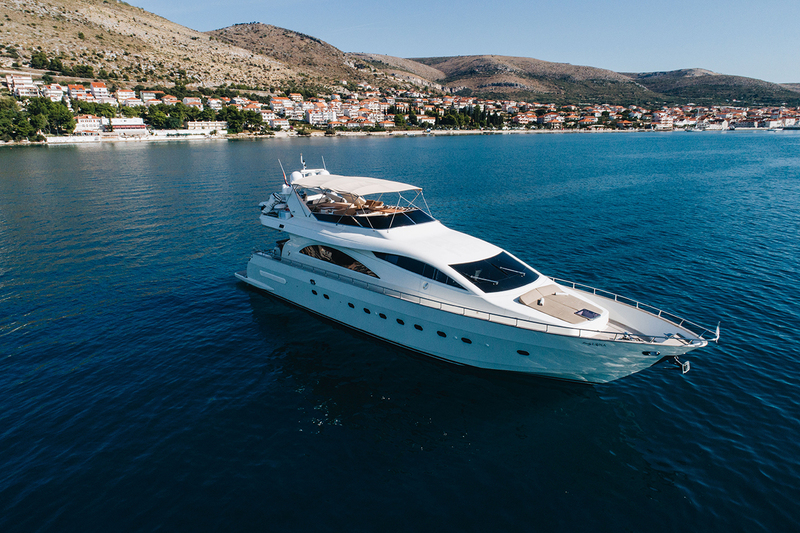 She has a fuel consumption of 400 litres per hour. 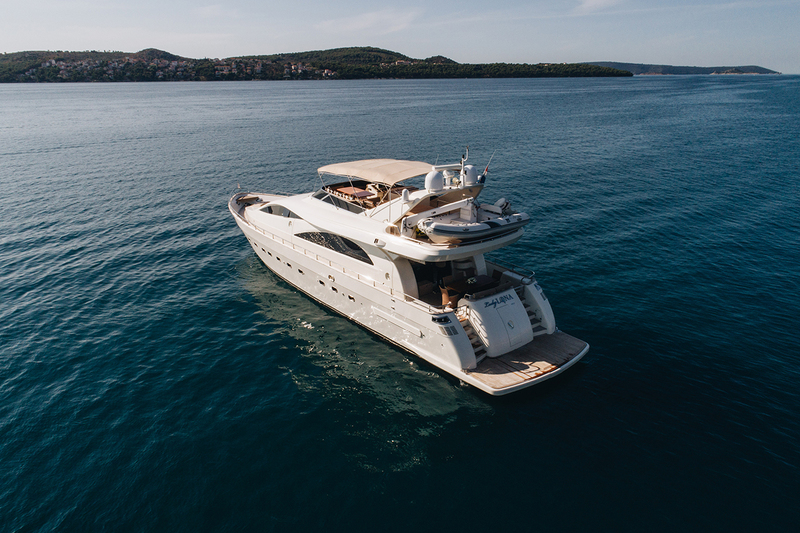 Accommodation is offered for up to 9 charter guests in four luxury cabins, including one master cabin, one VIP cabin and two twin cabins, out of which one has a bunk bed. 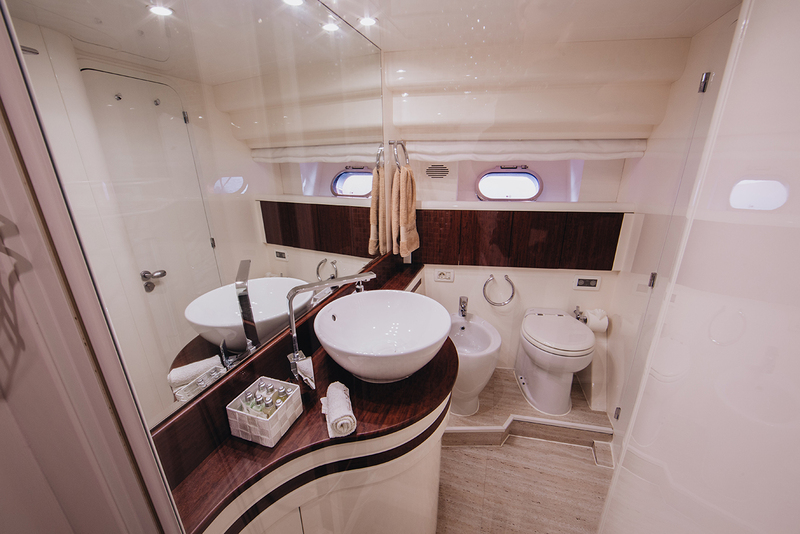 Each cabin has a large modern ensuite bathroom.